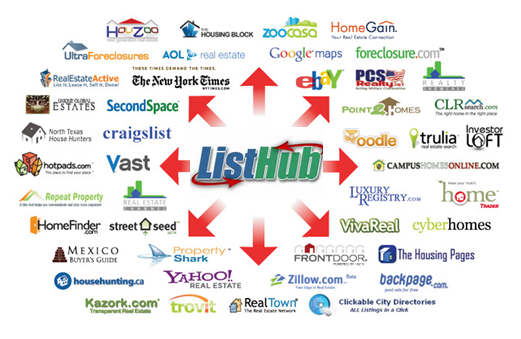 Today well over 80% of potential home buyers start their search on the Internet. Therefore it is an absolute must to select a listing agent with a marketing team capable of creating premium quality, full page Internet ads incorporating fully featured tools like slide shows, floor plans, virtual tours, school and area links, as well as mapping features, and then syndicating them in a timely and consistent manner to all major real estate related portals, directories and classifieds. My very own marketing, syndication and advertising specialist designs, produces and syndicates not just one, but three completely different interactive Internet ad layouts, especially customized for your home for sale, and distributes these advertisements twice a week until your home has sold. Our Web designer creates also for your property for sale it's very own Web page tagged with a custom domain name (Internet address) and sends it out to all major search engines and real estate related portals on a regular basis. This Web page contains all pertinent information regarding your property, including a picture slide show, virtual tour, location map, mortgage calculator, additional information request form, viewing appointment scheduler, printable listing sheet, agent contact info and much more. CLICK HERE to see examples. As members of the Empire Access Multiple Listing Service (EAMLS) we are able to place and expose your property for sale to hundreds of fellow real estate agents working with qualified buyer clients, many of which are looking to purchase a home just like yours. Statistics show that most properties change hands because of agent to agent interaction initiated by listing them with the local Multiple Listing Service. This service can only be provided by an active member of the WPMLS. While many real estate brokers are able to market a home on a regional basis through the local MLS system, only very few can do so on a national level. We, on the other hand always continously market your home also through our Point2Homes national market system to thousands of real estate agents throughout the country, and even abroad. This exposes your property to buyers from other areas of the country, and even from other countries, which are planning to relocate to the Tri-State area, and especially Westchester County. The Broker Open House marks the only occasion when your home for sale is shown in person to local real estate agents researching suitable properties for their buyer clients. Only a licensed real estate agent is able to hold a Broker Open House. Many times a home is shown again within a few days to interested buyers by agents that attended the Broker Open House earlier. This unique type of direct marketing of your home generates usually the most traffic and many times immediate and very viable offers. This agent to agent interaction can only be initiated by licensed real estate professionals. We also still pay for the production and placement of high quality, multi-color ads featuring your home on a regular basis with regional and local newspaper and magazines. This traditional advertising method is still used today to capture the interest of possible buyers which do not work with a buyer's agent or do not use the Internet for their search. Furthermore, we also produce and pay for high quality postcards and property flyers which are repeatedly mailed to our database of active buyers and to households in your neighborhood as well. Additional copies are also distributed to all local real estate offices as well to expose them again to your home or property for sale. Property listing flyers will also be displayed and distributed during showings, open houses and any other suitable occasion. Many interested buyers casually visit a neighborhood that interests them first on their own to gather an impression and to obtain a personal feel for it. Therefore our highly visible Yard Sign placed on your property displaying our contact information can entice these casual browsers to get in touch with us for more information and/or to arrange for private showings. Furthermore we display attractive, full color advertisements featuring your home for sale in the window displays of our prominently located offices. Interested parties can immediately inquire in person about your property for sale since our offices are open to the puplic from 9:00 AM through 5:00 PM every day of the week. At least one real estate professional is on duty and is supported by an office manager and/or assistant.